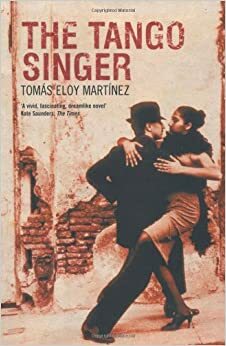 So now on to Mexico in this years Spanish lit month and the debut novel from Carmen Boullosa which came out in 1989.Carmen Boullosa is both a poet and novelist, she has written 17 novels so far and there is seven of those available in English translation. Two of which including this is from Deep Vellum, I have reviewed ebooks from them but have fallen out of love with ebooks and haven’t reviewed them. So as I have had a little extra money the last few months I have bought paper copies of their books to read. The otherworldlyness of the book, is that ghosts. Before is told in the voice of a small girl, we see here looking back on her puberty a right of passage as she became a woman. Her sisters and her play with simple white pebbles together in the book make fantasy countries in lines with the stones but then they disappear. Then trying to find out which Turtle was in the turtle shop they had one day the story moves at times into almost a ghost story as strange things happen around the young girl things she has trouble explain or understanding .The story is a fragmented story as thou from a child time is flipped in place and events run against each other in times. There is the mother but the father is the man in the dark is he there or has he gone or died.A book that shows how frightening growing up can be and we see things that maybe or ghost or just fragments of our imaginations as we try to make sense of this world. The pebbles that I “collected” from the neighbours yard were small, white, and were used by them to decorate the window box adorning the front of their house. Collecting them was an adventure because they were just beyond our reach and because they were “cultivated” pebbles, “pedigree” pebbles and not stones from the street, so nobody should see us when we got them. I lived the image of stealing those pebbles we all did something similar as a kid didn’t we ! 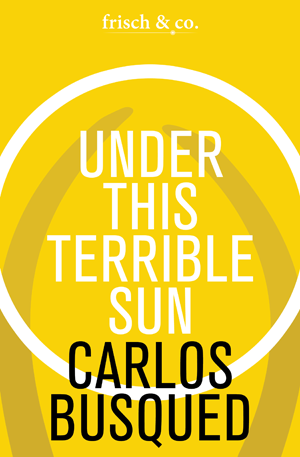 As I said this is what Mexican writing does so well the short punchy novella from Juan Rulfo with Pedro Paramo which also has a sense of otherness to it written before this novella and a work after by say Yuri Herrera’s signs preceding the end which has a ghostly feel to the text and came out after this book. I also saw a comparison with Guadalupe Nettel’s work that also touches on times on growing up. 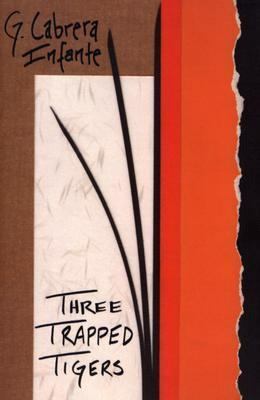 There is a style to Boulosa writing that is gripping to the reader given the great translation from Peter Bush. The girl’s voice has a real feel of a young woman looking back and the way you miss as a child the mundane in life and also the way we look at others and events in those years.A tumbling collection of remembered thoughts. Have you read any of her books? The last two verses of the song The singer by Nick cave remind me of Julio in a way . Well I’ve left it till near the end to finally join in Richards Argentinean theme writers of doom event for last three months of 2014 .I finally choose another book by a writer whose two previous books I have reviewed here and enjoyed .Tomas Eloy martinez I have reviewed on the blog Santa Evita and Purgatory , two books for me that rank among my favourite books from Latin America so I’m surprised it took me this long to get The tango singer which has sat on the shelves for a good few years .Martinez was Journalist and academic as well ,being a writer , he passed away in 2010 . Julio just plays in dark corners of the city that are hard to follow . The tango singer follows the story of Bruno Cadogan , who has been given the chance as a student to go to Buenos Aires to study .But he is happy because he has become gripped by Tango singers and he has heard of one such singer from the city Julio Martel , who has never been recorded singing and doesn’t really do concerts more turns up and starts singing never announced. His voice is considered the best Tango singer ever .So Bruno arrives in the city and is hunting to see this old man sing , but along the way we find out Julio story how he became such a star and how sad is life is .Add to this Bruno is a bit of a literary romantic so wants to see the city of Borges , the story Aleph by Borges gets mentioned quite a lot as a reference point maybe for Bruno own journey through the city and finally meeting this mysterious singer . A few days after arriving I visited the house at 994 Maipu street where Borges had lived for more than forty years, and I had the sensation that I’d seen it somewhere else or , which was worse , that it was a scene destined to disappear as soon as I turned my back . Borges crops up a lot in the book his ghost still seems to haunt both the city and Martinez in this book . I love the layer Martinez builds in this book as we take its twists and turns .Julio and Bruno are like two planets orbiting around the city of Buenos Aires and Borges is like the sun of the centre of the city and eventually these two planets will eclipse one another .Oh I can be a little abstract at times, this book is really an ode to a city warts and all , to the writers and singers that live with in that city .Martinez builds the tension as Bruno gets closer to Julio but also in the dark past of the city makes this feel like a thriller at times .I would picture this book making a great film the young man on the quest to find the old sage of a singer . Martinez manages to capture the good and bad of a city which he spent some time in but he had lived many years in exile and this feels more about the city he remembered than the city at the time the book is set .If you have read any other of his books I’m sure you will love this one and if you need an introduction to him this is maybe a good one to start with as it has bits of each of the other two books I’ve read .Well can’t see it be too long before I read The Peron novel by him . Have you a favourite book about music or singers ? Now I ask myself a couple of years ago when the right time to read and put this book on the blog would be and I decide to wait as it is considered one of the most important books in Latin American fiction as it has influenced some of the biggest names in Latin American fiction .Juan Rulfo had lost both his parent before his tenth Birthday , he carried on to complete his schooling but due to university being on strike he ended up in Mexico city at the military academy ,which he left after three months worked as a clerk managing to study literature at the university in between .He started to write ,publishing a literary journal , then from getting a fellowship he got time to write his first two novel which where a huge hit and in 1955 this book his second book came out . Juan completes the promise he made his dying mother . Pedro Páramo is the story of a son returning to his home town , after his mother death to find his father , but also to find out more about his father .The son Juan Preciado sets out to the town of Comala .Now this is the point where the story starts getting odd because he gets to the town and finds it is full of ghosts of his fathers past and the present , so the story drifts between his father Pedro Páramo time in the village , his father as a boy falling for a girl called Susana .Her life is one of death and madness .Pedro own life takes many a turn he is a womanizer , tyrant and quite a cruel man .But Juan is in the present where this town isn’t the vibrant place it once was now it’s a dying town .THis is a small part of what are many threads Juan sees in his time in Comala . If was as if time had turned backward .Once again I saw the star nestling close to the moon ,scattering clouds .Flocks of thrushes .And suddenly , bright afternoon light . Time is very fluid in this book it is almost as thou the past and present are one place at times . It’s hard to grasp this book without giving to many bits and side stories away as there are a number of small threads in this book .The book although 120 pages long feels like an epic russian novel by the time you have finished it you feel as thou it was a real epic journey not a short novella .You feel part of Juan Rulfo own story is in this book , parents dying ,young family torn apart .His greatest influence as a writer is on the generation that follow just after him .Marquez said he saw how to write after he felt blocked in his first four books , so yes this is the book that gave birth to magic realism , but is a book of Magic realism , for me no it owes more to its writers homeland mexico where the dead are celebrated and death sometimes isn’t the end of someones life these are echoes of what was once a more vibrant place juan sees at times .The book also shows how sometimes thwarted love as in the case of Pedro and Susana can lead people down different paths .For me the time was right to read it just after a burst of Marquez , but also Fuentes and Llosa in recent years you can see how this slim book had maybe pushed each of these writers to write in turn as I have also read the other great Mexican book that came out five years before this labyrinth of solitude by Octavio Paz a collection of Essays about mexico and its love of death and myths ! 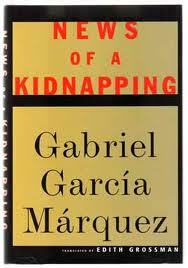 The second readalong book is the tie in to Marquez ,as I want the last of the four weeks to be dedicate to books By him and also with influences from Gabriel Garcia Marquez our second readalong book is News of a Kidnapping by Gabriel Garcia Marquez .I had promised to do a Marquez week and with recent events it seems a great time to remember one of the biggest stars of the Spanish writing world . We hope you join in picking some of the great books past and Present written in Spanish .Near the time I will do a post about great books of Spanish and connect to some lists for inspiration for every one . Now I have been saying for a while on twitter Brazil is going to be the next big breaking place to read books from ,with the Granta Twenty best young novelist from there last year and the world cup and Olympics both happening soon all eyes will be on the world’s seventh largest economy .So this is one of two books from Brazil by bigger publishers I’ve been sent since the turn of the year .Michel Laub the writer of this book was on the Granta list ,he was born in Porto Alegre and lives in Sao Paulo ,this is his fifth novel and the first to be translated to English . In the final years of his life , my grandfather spent the whole day in his study .Only after he died did we find out what he had been doing there , notebooks and more notebooks filled with tiny writing , and only when I read what he had written did I finally understand what he had been through . The notes of the grandfather found after he died . 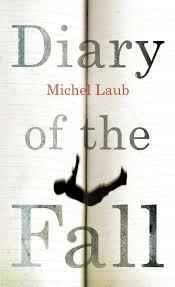 So Diary of the fall reminded me so much style wise of HHhH it follows that choppy short paragraph style that made HHhH one of those books that you read in a sitting or two .The book is in a form of a Diaries and notes ,undated but the story moves on as we read passage by Passage ,The story is told by A grandson and involves him ,his father memories and Grandfather guilt of being a survivor .The story is almost a three ages of man story but things are very twisted ,The narrator the grandson is looking back on an incident that happened when he was at school ,how it has affect him this incident is a similar starting point to novel the slap When he was at school that change one of his fellow pupils life forever .Then there is the father a clever man but in the process of losing his memory and memories to Alzheimer’s try to capture them all in the notes he writes .Then there is the Grandfather he survived Auschwitz and is racked with guilt about what happens and is trying to forget by writing it . His father finds out when he has chanced to remember his life before like the sands of time it runs out of him . Well I’ve been saying for months on twitter Brazil is the next big thing world lit wise (no hard guess really with the worlds eyes turned there with world cup and Olympic games also they are the guest country at this year Frankfurt book fair ) so a new Brazilian novel to review and to add to the too few I have review on this blog is great and what a great novel Adriana Lisboa is one of the current stars of Brazilian Fiction and a piece by her was chosen as the challenge for this years young translator prize .Sh was born and raised in Rio spent time in France and the last six years living in the US She is also a vegetarian ,Buddhist and animal rights campaigner . Lakewood , Colorado .A strange place .But its strangeness didn’t bother me , because the Denver suburb was , to me a , a stepping-stone .Something I was using to achieve an objective .A bridge , a ritual , a password that you utter before a door and wait for someone to open it . Vanya arriving in the US to stop with Fernando . 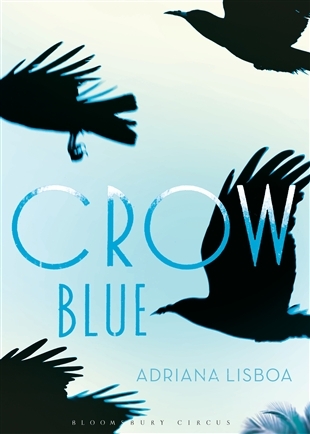 So to crow blue the title has a duel meaning of both the crow blue shells of the beach in Rio and blue crows in the US as this book follows its heroine Vanja ,her mother has died she is left with her stepfather and the go to live in the US ,But who was her real father ? This she wants to find out and how her father and mother meet ,but along the way she learns a lot more than she expected ,also a lot about Brazil’s darker past and the struggle for human rights that was fought under the last dictatorship in the country and the Araguaia guerrilla what they were fighting for and what happened to them .Her stepfather has his own story to tell he was a guerilla at this time and a tough man.We also see through their eyes the toughness of living in the US as an immigrant and through the people they met along the way .Will she find this father and what does Vanya learn about her self along the way ? The brazilian Armed Forces had five thousand men hunting a few dozen guerillas in the forest .By now they also knew that the communist were practising jungle survival techniques , learning to get their bearings from the sun , star and Landmarks .Learning to commando crawl in the forest ,to recognize edible fruit , to hunt . The army gets trained to get the guerilla forces in the Jungles and forests . I loved the pace of this book it felt just right Vanya and her stepfather are treading a path that many people from Latin america do trying to find a better life .I read an interview translated from Portuguese with Adriana about the book she said the characters aren’t based on actual people .But the settings are ones she knows well she grew up in and around Rio and currently lives in Colorado where the book is mostly set when they get to the US to live .I found the feel of the two looking in at the rich american world when they got there the perfect house and Lawns .I also really enjoyed learning more about Brazil’s recent past and the Araguaia guerrillas and the war they fought in the seventies a dark mark on Brazil’s recent past .I am slowly falling in love with the varied fiction of Brazil and Adriana Lisboa is another name II want to read more off .Have you a favourite Brazilian writer ? Sergio Ramirez trained as a lawyer ,he worked in Costa Rica in the early 1970’s for the central american university then went to West Berlin to start a writing scholarship ,he was also was vice president of Nicaragua he has had numerous books published and was a leading figure for the sandinista as a member group of twelve people who support the movement in the fight to free his homeland . My shoulders had broadened , my waisted had slimmed down , and my legs had firmed up .Scarcely four years after that big bully had kicked sand in my eyes ,I was a different man ,Ethel one day showed me a photo of the mythological god Atlas in a magazine . “Look” she said , ” he’s just like you ” Then I knew I was on the right track and would one day fulfil my dreams . From the story Charles atlas also dies . Stories is a collection of eight stories ,we travel from his home to the Us and Old west Germany .We meet a young man who has fallen in love with body building via the works of Charles Atlas and then is shocked to discover how his hero has fallen ,I was reminded in this story of the film Geordie with Bill Travers where a Scottish boy meets a body builder (Charles Atlas )he had followed only to find a broken man I wonder if this was the inspiration for this story ? as the film was from the fifties ,Next is Jakie O about to visit his homeland of Nicaragua and set a country club on edge but is all it seems ? an ageing baseball player occupies another story ,also the perfect game of baseball is another story ,,a family in West Germany end up with a Latin american student as the rented Santa Claus over their festive period ! Is she coming from the story to Jackie with all our heart . 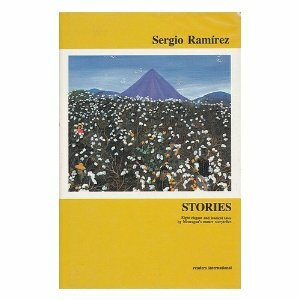 As you see there is some with in these stories ,A look into the lives of ordinary Latin Americans and there dealing with them both at home and in the wider world with a chunk of satire and a wry eye at people’s views of the world .He maybe isn’t so well-known these days , but Ramirez was a major voice in central and latin american literature in his day and a large political figure as well .I have also his novel a thousand deaths plus one has sat on my shelves for a number of years but will being get read for next years century of translation project .Have you read him ?